That saying that old things have a way of reviving themselves and becoming popular again over time is as true of lard as it is of rompers and wallpaper. Recently, there has been a bustle of excitement in the natural health world around rendered pig blubber, or lard. Have you heard the news? 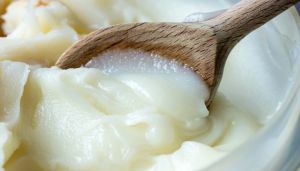 Lard is healthy… read on to find out why. For years, I was standoffish about lard I didn’t like to say the word or even think about it. I much preferred the way the word “butter “rolled off my tongue than how “lard” just kind of laid heavy on my lips. Besides, like many people, I was on the anti-animal fat train for quite some time, and there was no room for lard with this mindset. However, once I discovered the truth about pig blubber I was sold, got over my objections to the word pretty quickly and gave lard a prime spot in my pantry. Our ancestors ate and cooked with lard for thousands of years, and many didn’t drop dead at 40 with heart disease, diabetes or cancer. The truth is that these degenerative diseases were extremely rare before the 1900’s when people cooked almost exclusively with rendered pig blubber. 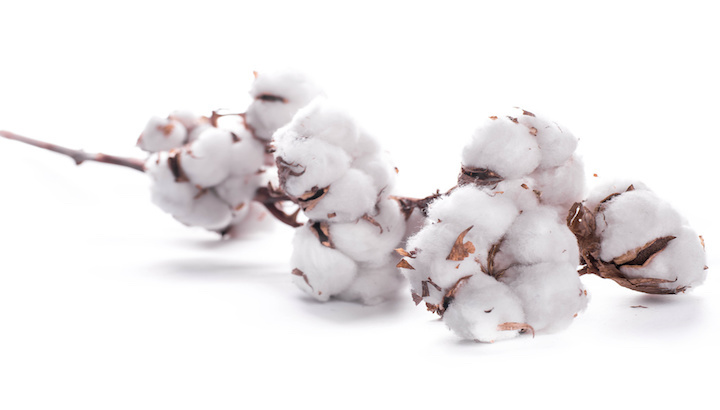 Proctor and Gamble big players in cotton. In the early 1900’s, candle makers Proctor and Gamble needed a solution for their candles because the prices of tallow and lard began to rise. They decided to see if there was anything that they could make from cottonseed to replace tallow and lard in their candles. This byproduct had been considered waste up until this time and even used as a fertilizer at one point. After some research, they found that they could heat, press and heat the seed some more to extract oil. This oil was highly unstable and went rancid quickly, so Proctor and Gamble decided to use the process of hydrogenation to make the oil more stable. When the oil was cooled, it resembled lard. Not only did this work for their candles, but they hit on something else! The sad news is that Crisco was not healthy – not in any way. In fact, the millions of households that gave up lard for Crisco paid dearly with their health. When lard, the traditional fat that had been used for thousands of years was replaced with Crisco people got sick, very, very sick! Proctor and Gamble turned the tables on traditional eating and pulled the wool over the eyes of thousands of innocent and unsuspecting consumers. Sadly, by 1912, Proctor and Gamble were selling 60 million containers of Crisco per year as more people left lard, butter and good health behind! Crisco was made from the byproduct the cotton industry. Let’s start off with a few truths about the industrial oil, Crisco. Before it is processed, cottonseed oil is a dark cloudy red color and very bitter because of the phytochemical gossypol. It is highly toxic to most animals and causes elevated potassium, organ damage, and even paralysis. Cottonseed oil is loaded with omega-6 fatty acids that cause dangerous inflammation in the body. Chronic inflammation is the root cause of over 90% of diseases such as heart disease, diabetes, and cancer. It is no surprise that the rates of diabetes, heart disease, cancer, multiple sclerosis and autism skyrocketed after Crisco was introduced on the market in the 1911. Here are 3 reasons why you should add lard to your diet. First of all, rendered pig blubber is not your ordinary animal fat. It contains zero trans fat but is loaded with healthy and stable saturated fat. Contrary to what you might think, the 40% of saturated fat found in lard is vital for liver health, immunity and can increase free testosterone levels that help to repair tissue, improve sexual function and preserve muscle. Lard contains 60 percent monounsaturated fat which is associated with a decreased risk of heart disease. As a comparison, olive oil contains 77% monounsaturated fat and butter contains 45 percent. Oleic acid the particular monounsaturated fat in lard has been found to have anti-cancer benefits and can reduce the risk of depression. Vitamin D, also known as the sunshine vitamin, is an essential fat-soluble vitamin. Just one tablespoon of lard contains 1000 IU of vitamin D! Most people are vitamin D deficient, and as a result, thier immune system is compromised. Vitamin D is necessary to absorb calcium for strong bones, to regulate insulin, remove toxins, keep the brain and nervous system functioning efficiently. Having adequate levels of vitamin D can help you escape colds and flu. Although you can take a vitamin D supplement, it is better to get vitamin D from foods and time spent out in the sun. One 250 pound backyard pig will yield about 15-20 pounds of lard. 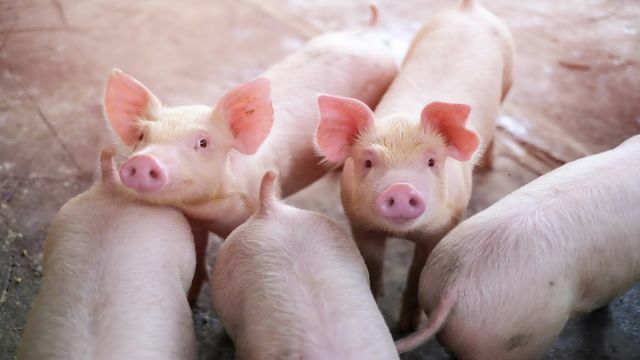 If you raised one pig per year, you would have enough lard to last a family of 5 for about a year. This is very easy to sustain and raising a pig is a much smaller footprint than planting and harvesting a field of cotton. Lard is a very stable fat. Nothing makes chicken crispier or pies flakier than lard! Because of its very stable fat and high smoke point of almost 375 F, lard is a great stovetop oil that won’t cause free radical damage. Ready to enjoy all the benefits of lard? Try cooking stovetop popcorn in lard….. delicious!! Hey Buddy!, I found this information for you: "Top 5 Reasons Why You Should Eat Rendered Pig Blubber (AKA Lard)". 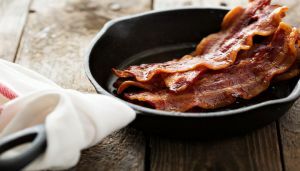 Here is the website link: https://www.thealternativedaily.com/top-reasons-lard-is-healthy. Thank you.